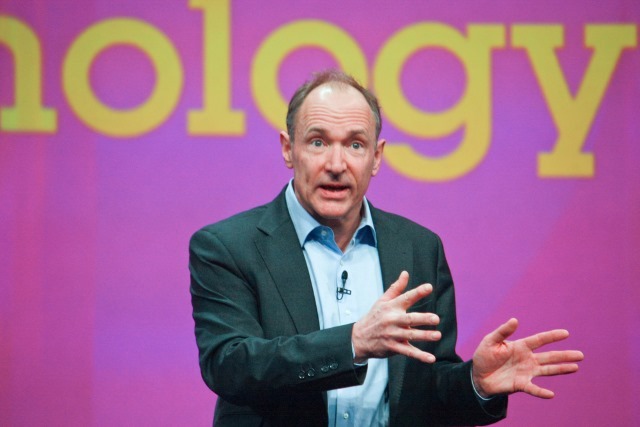 Tim Berners-Lee is famous for inventing the world wide web, and now he's ready to take things to the next level with an ambitious open source project called Solid. Noting that the web has become "an engine of inequity and division", Berners-Lee wants to restore the power and agency of individuals online and move the balance of power away from "powerful forces who use it for their own agendas". Solid is not a completely new venture. Berners-Lee has been working on it for some time, and it is built on the existing web as we know it. Where it differs is that "it gives every user a choice about where data is stored, which specific people and groups can access select elements, and which apps you use". This is about decentralizing the web. It is described as an evolution of the web, and the aim is to empower people. In a blog post revealing his idea, Berners-Lee says: "Solid changes the current model where users have to hand over personal data to digital giants in exchange for perceived value. As we've all discovered, this hasn’t been in our best interests. Solid is how we evolve the web in order to restore balance -- by giving every one of us complete control over data, personal or not, in a revolutionary way". Data is absolutely central to Solid. It is built on the principle of "personal empowerment through data", and it's ready to take on the likes of Google, Facebook and Amazon that have come to dominate the online world -- and control huge amounts of data. Imagine if all your current apps talked to each other, collaborating and conceiving ways to enrich and streamline your personal life and business objectives? That's the kind of innovation, intelligence and creativity Solid apps will generate. With Solid, you will have far more personal agency over data -- you decide which apps can access it. There is a wave of concern, and related energy, desperate for change. People want to have a web they can trust. People want apps that help them do what they want and need to do -- without spying on them. Apps that don't have an ulterior motive of distracting them with propositions to buy this or that. People will pay for this kind of quality and assurance. For example, today people pay for storage in places like Dropbox. There is a need for Solid, and the different, beneficial approach it will provide. Because of the time and effort that will be involved in getting Solid off the group, Berners-Lee is not only taking a sabbatical from MIT, he is also reducing his involvement in the World Wide Web Consortium (W3C). On top of this, he has created startup called inrupt, the mission of which is "to ensure that Solid becomes widely adopted by developers, businesses, and eventually... everyone; that it becomes part of the fabric of the web". Berners-Lee and his team acknowledge that there is a long way to go, but the same was true of the world wide web. For some months, we've been working with talented thinkers and doers from around the globe, and distributing resources and workload appropriately. Everyone working on inrupt and Solid is incredibly dedicated to shaping the future of the web. Thanks to inrupt's resources, the Solid open-source community is becoming robust, feature-rich and increasingly ready for wide-scale adoption. What's equally exciting is the reaction we're getting from potential partners and businesses. There's clearly a growing appetite for Solid; a recognition that Solid can free us from stifling data silos and create a blank slate for innovation. Anything we can imagine is made possible. In the web as we envision it, there are opportunities for everyone. Entirely new businesses, ecosystems and opportunities will surely emerge and thrive. And we'll need hosting companies, application providers, enterprise consultants, designers and developers. The list goes on. But the real opportunities are all the businesses yet to be invented. There's a long and exciting journey ahead of us all, into an unclear, but certain, future.